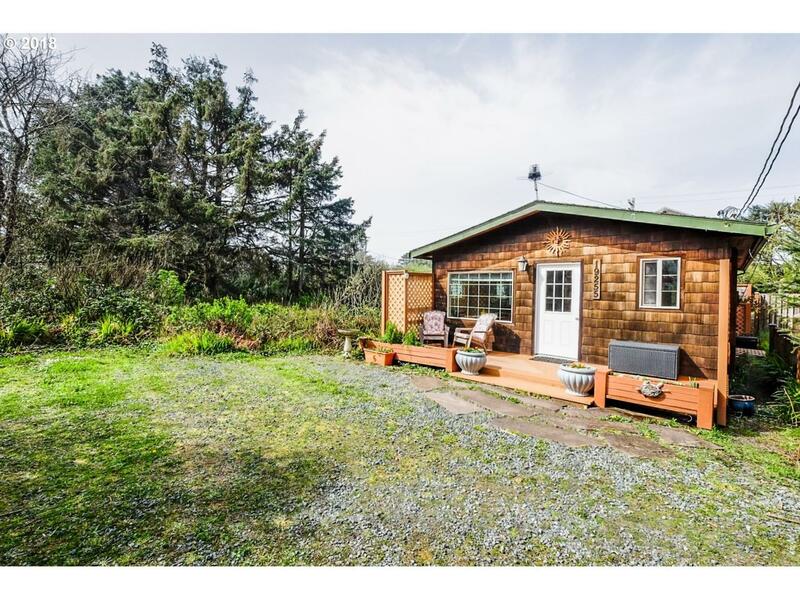 Seller significantly updated this idyllic Barview cottage including enclosed back deck area. Quiet dead end street, which the Sellers have used for add'l parking. This precious gem is almost turnkey. 2 blocks to 7 miles of the Rockaway Beach oceanwalk. Home lives larger than 600 SF with wide open great room & good sized bedroom. Some furnishing will stay. Perfect for 2nd home getaway, vacation rental or efficiency small home living.